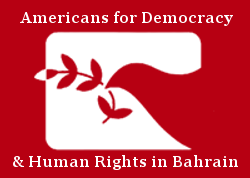 Americans for Democracy & Human Rights in Bahrain (ADHRB) was a participant in a consortium of 23 human rights organizations led by Human Rights First that also includes several other IFEX members that submitted case files aimed at applying sanctions to over a dozen individuals or entities by the United States government under the Global Magnitsky Human Rights and Accountability Act. The Global Magnitsky Act which became law in December 2016, authorizes the US president to impose visa bans and freeze the assets of foreign individuals responsible for gross violations against rights defenders and government officials or their associates who have engaged in significant acts of corruption. In practice, those placed on what is referred to as the Magnitsky list can be prevented from entering the US, and any property they hold in the US can be seized, a stinging blow to those who oppress citizens in their home countries and then use their status or wealth to travel freely. The law also allows entities in addition to individuals to be put on the list. In this case, a named corporation or even a government institution would see any property and interests within US jurisdiction blocked. To test the new process, the groups sought to highlight a range of violations, victims, and responsible actors in the dossiers submitted. Those named vary in rank and position. ADHRB submitted a case file on Ali bin Fadhul Al Buainain, Bahrain’s Chief of Public Prosecution, who is alleged to be accountable for gross violations of human rights for both failing to act on allegations of torture and for pursuing the death penalty based on coerced confessions. In particular, he is alleged to have overseen the torture, coerced confessions, and executions of Ali al-Singace, Abbas al-Samea, and Sami Mushaima, three Bahraini men who were executed in January 2017. ADHRB also submitted a case file on Bahrain’s National Security Agency. Drawing on testimony from Ebtisam Alsaegh and other activists, ADHRB argued the agency as an entity should be listed for its role in systematic human rights violations, in particular for violent attacks on peaceful protesters.